West Philly Skills Initiative is committed to hiring local talent. Philadelphia's University City is a neighborhood of aspirational endeavors that make the city and the world radically better places. Groundbreaking advances in immunotherapy at Penn and CHOP undergird a national Cancer Moonshot Initiative to accelerate novel treatments and cures. Commercialization efforts at the Pennovation Center and the University City Science Center in uCity Square promise the launch of new companies like the rapidly expanding Spark Therapeutics and, in turn, create new pathways for regional job growth. And Drexel University and Brandywine Realty Trust's big bet on redeveloping 14 acres of fallow land near 30th Street Station into Schuylkill Yards offers a new vision for leveraging Philadelphia's anchor institutions and transit assets to fundamentally remake the city's economy. University City employers and civic organizations are adding another aspirational endeavor to the list: tackling what is Philadelphia's greatest challenge – its stubbornly high poverty rate – by unleashing its greatest asset: the talents of the city's future workforce. 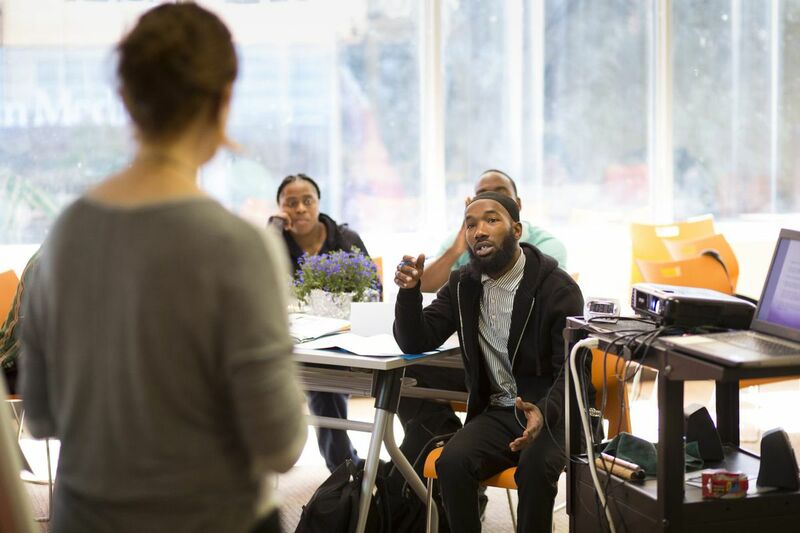 Fueled by a $5 million Lenfest Foundation grant, we are investing in programs that connect University City employers seeking talent with West Philadelphia residents seeking the skills and opportunities needed to transform their career trajectories. In its eastern-most square mile, University City has 80,000 jobs and $5 billion in recent real estate investment, according to UCD's analysis of 2016 census data and real estate trends. In the five neighboring West Philadelphia zip codes, 81,000 people live in poverty. This kind of disparity is unfortunately common in many of the country's thriving innovation hubs. What is uncommon, however, is our response here in Philadelphia, as our community comes together to fight this unacceptable opportunity divide. Penn, Drexel, CHOP, USciences, Brandywine Realty Trust, and Allied Universal have long committed to changing lives – and hiring local talent – through the West Philadelphia Skills Initiative. The Lenfest support expands these relationships and accelerates a place-based plan against poverty. In its first three years, the partners pledge to connect 600 previously unemployed West Philadelphians to careers, resulting in more than $16.1 million in wages generated locally. An additional 250 adults and high school students in West Philadelphia will attain credentials, certifications, and career exposure, setting them on meaningful pathways to employment. This work can sustain itself because it's not simply transformational for trainees, it's good business. World-class institutions require top-flight talent at all levels of their organizations to deliver the highest quality of service to their customers. When given a chance, local residents have proven over and over that they can perform to exemplary standards. If we get this right, the entire city will benefit from the talents of residents like Brittany Coleman. Brittany had a lifelong aspiration of becoming a nurse at Children's Hospital of Philadelphia, but struggled to find work. In 2016, after six months of unemployment, she connected to the West Philadelphia Skills Initiative and joined a cohort for CHOP, where she began working that winter. Now, Brittany has been promoted to a senior nursing aide, earns $23 an hour, receives full benefits – including tuition reimbursement – and is several steps closer to achieving her career goals. "It's life-changing for me," says Brittany. And, as our employer partners have shared, having staff members like Brittany is a game-changer for them. Brittany and thousands of immensely talented Philadelphians just like her dream of financial security and career fulfillment, and have the latent skills and abilities to make an indelible impact in their jobs. In University City, economic development organizations, business leaders, anchor institutions, and philanthropists dream of leveraging the opportunities of growth to address the challenges of poverty and, in the process, bringing new talent to bear on University City workplaces. Matt Bergheiser is president of University City District; Keith Leaphart is chairman of the Lenfest Foundation.